DreamyViridi EST+5 Hours: Turns off 3DS around 11-11:30 His Time. 6:00-6:30 EST Latest. 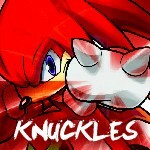 Knuckles: PST No good times ATM. And from this, I think we should start fighting around 6-8 EST on weekdays meaining I am out of all of the week day battles for a few months, but this should work out for most of you. On Friday I think we can push it to 6-10 EST, and on weekends it is up to you. Please give me feedback, as the times are very likely to change if they don't work at all. Sounds good to me. I'll be sure to let you know if there are ever any schedule conflicts on my end. Sounds good to me too. I should be able to make the battles at that time. I'll be available from 4-10 EST on most days. Unless I'm super busy, I'm cool with this. So, this works with everyone? Thats good news for me! @Maruxx55 Sure, just give me your time zone and times you are available to play. @NUH I'll update it when I update my info, since I am back now.